For those who are infatuated with the historical “old South” charm of South Carolina, Conway is a gem. Settled in 1734, this picturesque town, just 12 miles from the bustling activity of Myrtle Beach, is one of the oldest towns in the state, steeped in history and exuding that “small town” ambiance which invites you to “come and sit a spell.” Here, in the country where taxes are lower, life is enjoyed at a slower, tranquil pace. 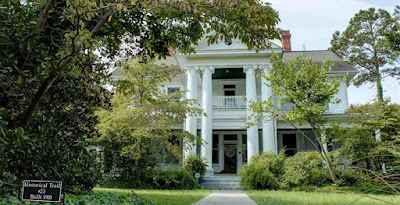 With great pride in its heritage, Conway has 39 historical sites which include stately old homes, barns, warehouses, and various other buildings. The National Register of Historic Places has officially listed 17 of them. Area builders aware of the need for more reasonably priced housing as Myrtle Beach grows, are creating new communities with a more suburban ambiance and a country feel that allows residents to escape the hectic pace city life while remaining conveniently close to the many advantages of the metropolitan area. These neighborhoods feature amenities that rival the best Myrtle Beach resort communities. There are golf course communities and new constructions. Whatever you desire in the perfect home, you can find it here. Cross the Main Street Bridge, which has been restored to its original appearance, into the Historic Downtown Business district. Originally built in the 1900’s downtown has been revitalized, offering bistros, working art studios, unique boutiques, and quaint shops. Restaurants offer everything from fine dining to home-style family fare. The town’s Riverwalk features a picturesque view of the Waccamaw River along an 850-foot boardwalk. The Kingston Lady Riverboat, which offers narrative historic tours of the Waccamaw, is docked at the end. Visit our website for more information about this tranquil South Carolina treasure and call our real estate professionals to schedule a private tour of the homes for sale in Conway.